So, Nutella. You love it, I love it (or I would if I ate dairy), the whole world loves it. Its immense appeal is basically limited only by food allergies — in fact, not even militants can hold back the love for the smooth hazelnut-based delight. Case in point: members of terrorist organization ISIS love Nutella, and have been posting selfies with the sugary treat on Twitter in an apparent social media strategy to... well, I'm not quite sure. To convince everyone that senseless killings are OK if you have a shared passion for hazelnut, maybe? 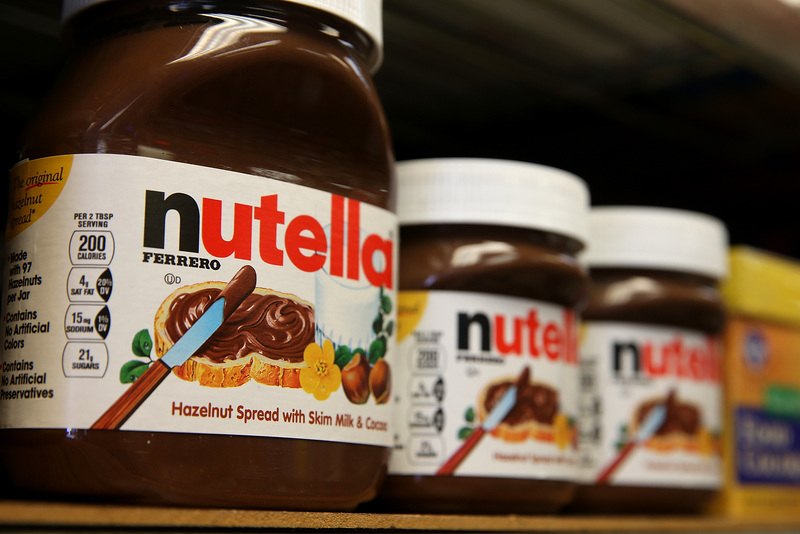 As the New York Daily News details, this isn't strictly about a love for Nutella. In fact, it may be part of a broader strategy to promote members of the group as not that unlike you or I. The Wall Street Journal's reporting identifies it as part of a deliberate social media scheme designed to appeal to the sensibilities of a Western audience, though it seems like a hard sell — I'm not sure what the Venn diagram for violent extremists and Nutella-slathered crepe-eaters looks like, but I'm guessing it's a pretty thin overlap. As strange as Nutella selfies might be, it doesn't stop there — one pro-ISIS tweeter followed up the suicide of Robin Williams with an equally bewildering sentiment, expressing sadness over his death, and citing Jumanji as one of his favorite movies. Which you wouldn't expect. But maybe that's exactly what the tweets may be intended to do — to make somebody who feels some sympathy to ISIS think "hey, I didn't realize I could fight for the establishment of an Islamic caliphate and still eat Nutella and watch Robin Williams movies!" Of course, ISIS' presence on social media isn't benign — they've also used Twitter to distribute gruesome images of their victims, in particular slain American journalist James Foley. Images of Foley's beheading were aggressively circulated by ISIS members and supporters — there are now reports claiming the video may have been staged, and that Foley wasn't actually killed on camera — and became such an issue that Twitter banned them, and threatened accounts that posted them with deletion. And it's not hard to understand why — in addition to being horrifically gruesome, whether authentic or not, such a social media presence could have an impact on recruiting new people into the fold. In a particularly disturbing set of photos which appeared online Sunday, showing a young child reenacting Foley's execution on a doll in dressed in orange, the same kind of garb Foley wore in the video.